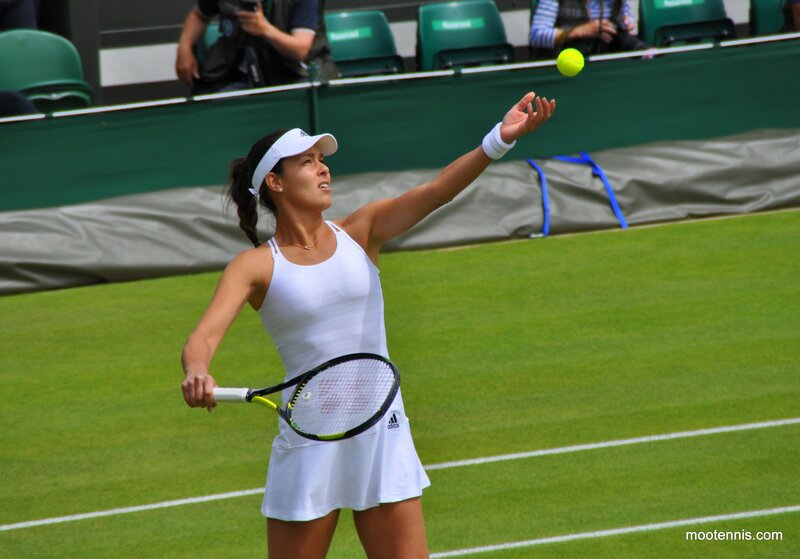 As first round matches go, Ana Ivanovic drew a bit of a stinker. The number seven seed will play Dominika Cibulkova in what should be a cracking match-up for the neutrals… but perhaps not for Ana and Domi fans! Ivanovic reached back-to-back quarter-finals in Toronto and Cincy although she only had to win three matches to get there with byes and withdrawals helping her cause. A come-from-behind victory over Sloane Stephens in the third round of Cincy was an excellent result and arguably, one of her best wins of the year. Cibulkova has been making steady progress since coming back to the tour in June having spent a couple of months on the sidelines recovering from Achilles surgery. Cibulkova has played five tournaments since Wimbledon but it took her until New Haven to score back-to-back wins at the same tournament. Cibulkova showed her fighting spirit, winning through two tight three setters against Tsvetana Pironkova and Kristina Mladenovic, before eventually succumbing in another close one to Lucie Safarova, 7-5 in the decider. Cibulkova spent eight hours and 53 minutes on court in her three matches. She needed the matches though and improved through each match. August 30, 2015 in Cibulkova, Ivanovic, Kuznetsova, Mladenovic, US Open, WTA. Im going to stop trying to predict Ivanovic’s Slam results. This time last year she was in a form that could’ve taken her deep into the draw at all of the Slams and yet she threw in awful losses at all of them. Kuznetsova vs Mladenovic could be a messy one. It’s easy to see why Sveta could injure her legs. But Sharapova barely seems to move on court and she always seems to muscle the ball rather than striking from her legs. Ivanovic seems to be better off when there’s less expectation! That first rounder will be tough but I like her chances of going deep in this draw if she comes through it. Domi! Indeed a shame Domi & Ana had to meet in the first round. I think Davia can cause a upset and defeat Sharapova,also Maldenovic over Sveta,both players Maria and Sveta are carrying injuries into the USO.I agree with your predication,Ana prevailing in 3 sets over Domi. Maria-Dasha is a tricky one because I’m hearing these rumours that Sharapova may pull out. I don’t think Maria would play though unless you she believed that she could win and go deep in the tournament. If Maria decides to play; she just might be presented with some ‘bakery goods’, by Gavrilova. I really dont see Sharapova winning this.